Function. Raises monitor to comfortable viewing height and maximizes workspace. Create an ergonomic environment in mere seconds. 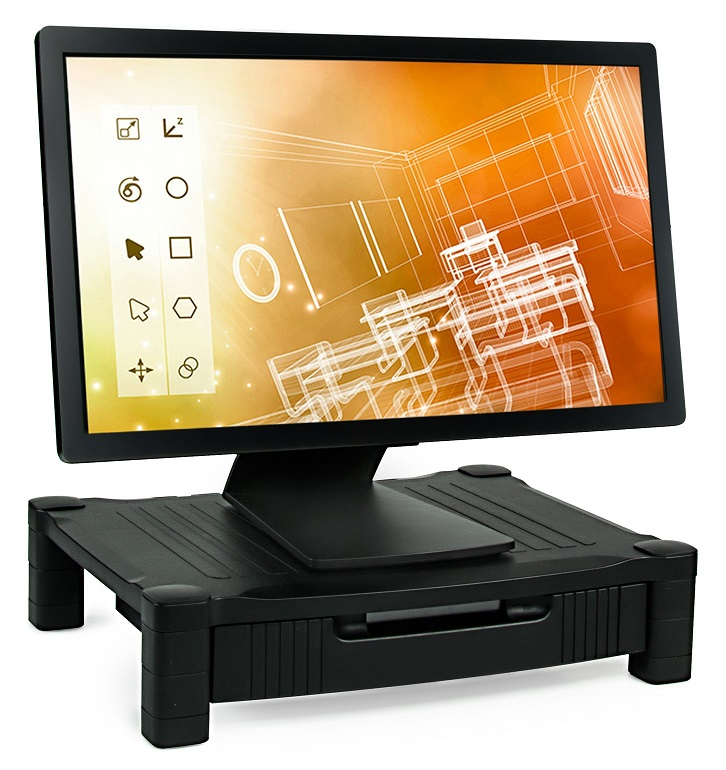 Ideal for computer LCD or LED monitors, laptops, audio video equipment, consoles, sit stand desks, offices, work, school, dorms, home, etc. Design. Strong design supports up to 30 lbs. Overall lightweight for easy transport and quick adjustments. Made from high quality materials with a contemporary black scratch resistant finish. Cable management ready holes on the back of the stand to bundle, organize, and hide your cords from view.